Clear bass and a sharp 'edge' are two attributes that Echo Tree's didgeridoos are known for. One of the reasons for this is because of the timber we use. This timber is extremely dense; denser than Ironbark in fact, one of Australia's well known, hard native timbers. Because of this we continue to use arid grown 'Greybox' to craft many of our didgeridoos. The extreme density of this timber largely contributes to the great 'edge' our instruments produce. We of course do not exclude the use of other timber types in our hancrafting process. 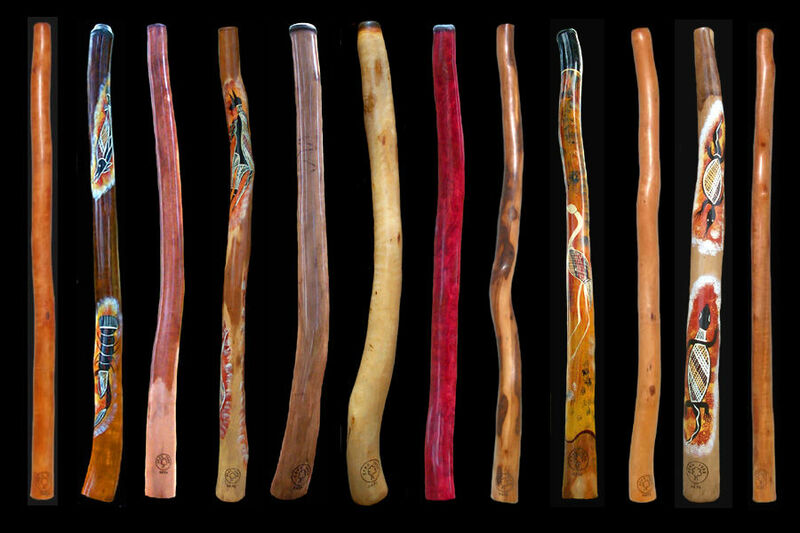 Echo Tree only make their didgeridoos from sound, good quality Australian timbers that have been naturally hollowed out by termites. These timbers are collected by Echo Tree. After the hollow tree has been cleaned out we place it under controlled conditions to season. 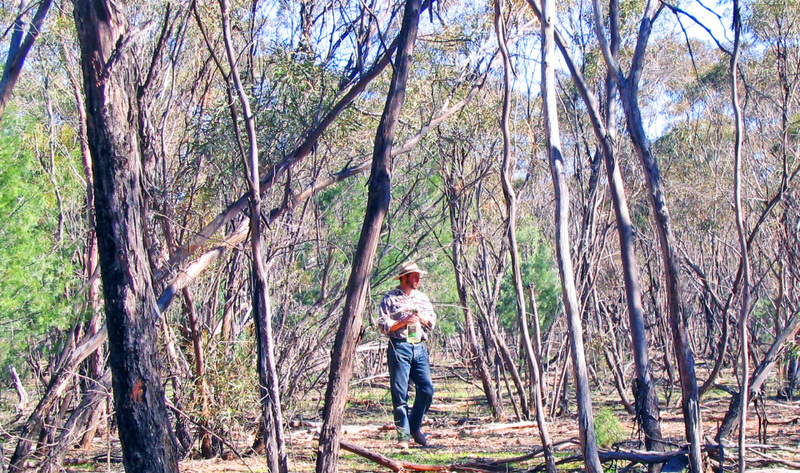 With the bark still on, we leave our timber to season, before it is ready for the didgeridoo handcrafting process. 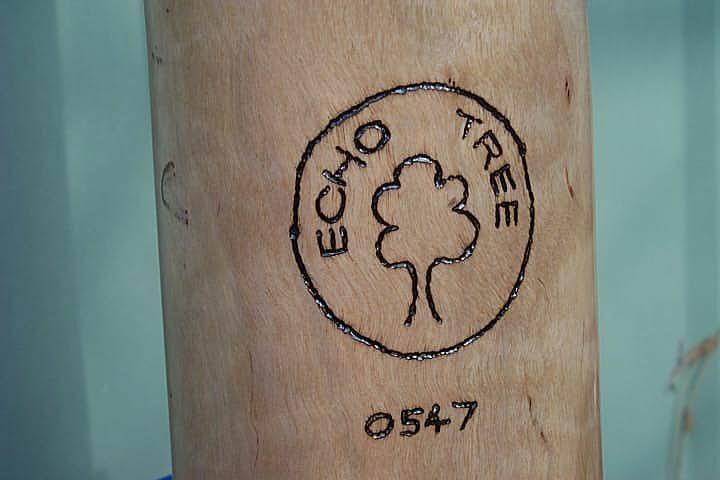 Once we have our instrument at this stage, the Echo Tree emblem is etched into the timber. 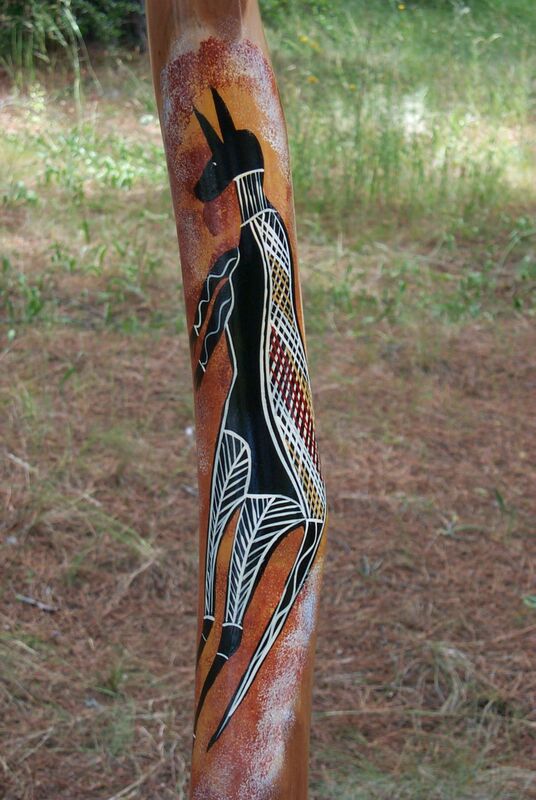 The emblem is located on the back of the didgeridoo near the base. A serial number is also burnt into the wood, just beneath the emblem, and because we accurately key all our instruments, the muscal note of the didgeridoo is also burnt into the inside of the bell end. The instrument is then sealed both inside and out. We seal the inside to protect it from the moisture and humidity that results from a player's breath and dribble. 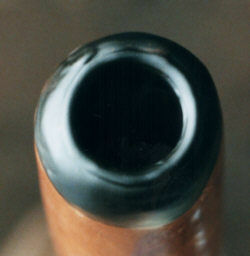 If the inside is not sealed, the constant hydration and dehydration (wetting and drying) that will occur with use can age and crack the instrument from the inside out. This can eventually lead to air leaks and the need for costly repair.